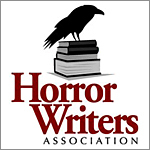 Angela Yuriko Smith’s work has been published in several print and online publications, including the Horror Writers Association’s Poetry Showcase vols. 2-4, Christmas Lites vols. 1-6 and the Where the Stars Rise: Asian Science Fiction and Fantasy anthology, winner of Alberta Book Publishing’s Speculative Fiction Book of the Year. She has nearly 20 books published that cross genres to include speculative fiction and poetry for adults, YAs and children. Her first collection of poetry, In Favor of Pain, was nominated for an 2017 Elgin Award. In the past she has served as a host for JournalJabber online radio talk show and has been interviewed on National Public Radio for her nonfiction work. Under her former byline, Angela Yuriko Cato, she worked for two years as a contract writer for MilitaryLifeStyle.com which included interviews with Joan Jett, John Nance, Amy Dacyczyn, and Randy’L He-Dow Teton, the only living model for an American coin. There she published over 60 articles and maintained two columns titled SAHMM I Am and Military by Moonlight as well as covered the 9/11 crisis from the viewpoint of a military spouse. She was also interviewed at that time for the Satellite Sister’s Show on National Public Radio. She has a large collection of regular newspaper clips from her time at The Community News in Browns Mills, New Jersey and as a freelance journalist for The Daily News in Fort Walton Beach, Florida and the Kansas City Star in Kansas City, Missouri. In 2016 she published her own online newspaper, The Panhandle Focus, for one year. The archives of that publication are available on Amazon. Most recently, she worked as the Editorial Assistant at the Bay Beacon family of newspapers based on the Emerald Coast and taught creative writing and social media at Northwest Florida State College. Angela currently enjoys living in Kansas City with her husband and fellow author R.A. Smith and their two dogs. To find her books, visit her Amazon page. Great news that End of Mae has been released. Congratulations. I’m Blaine, the Marketing Manager at Siminars. We partnered with Deepak Chopra to create a new online course and would like to invite you to join our review team. What do you need to do? All you have to do post an honest review sharing what you do or don’t like about the Timeless You program. Easy, right? If you’re interested in joining this exclusive program, please email me so I can provide you with a PROMO code for free access to the “Timeless You” program and the log in instructions for the exclusive webinar with Deepak. I was hoping to get in contact with you on an email to email basis. Please send me an email when you get this. It should be attached with the message.